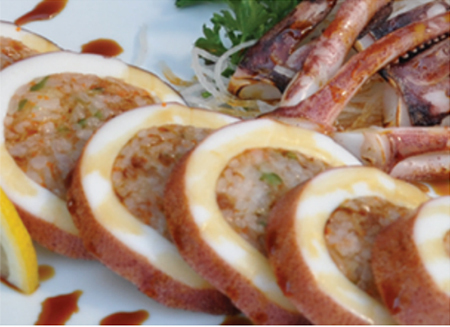 BBQ squid, stuffed with dried pork, massago, seaweed, sushi rice and tempura batter. 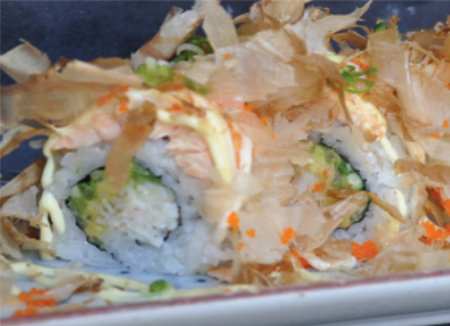 Unagi-tempura,tamago,cucumber,avocado.Topped w/smoked salmon and tobiko. 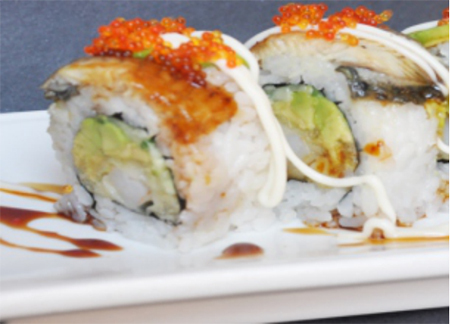 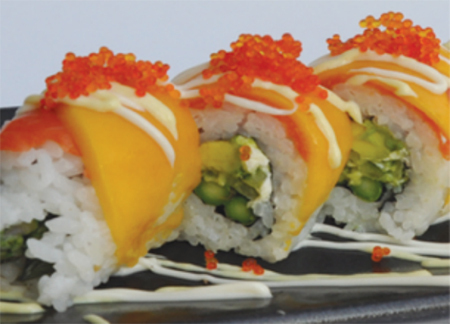 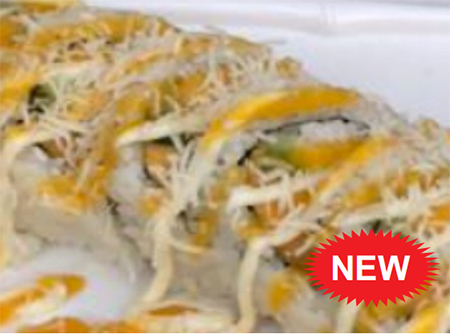 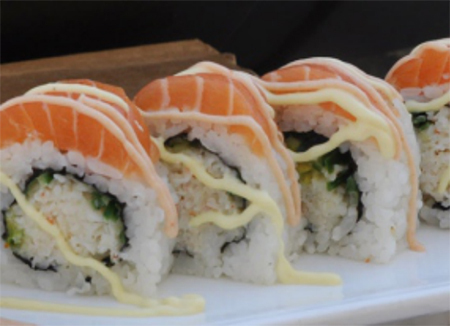 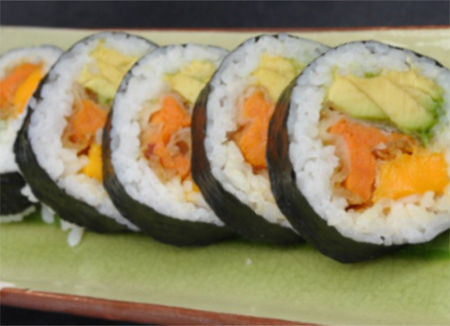 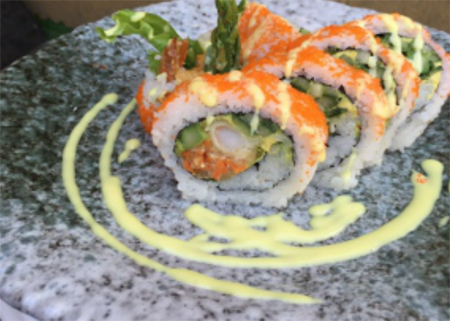 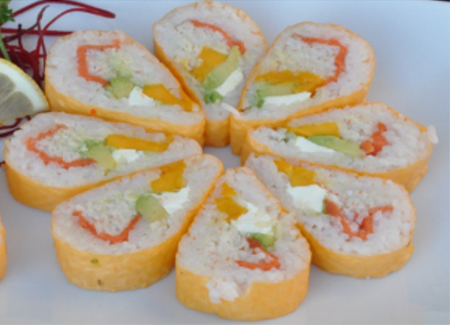 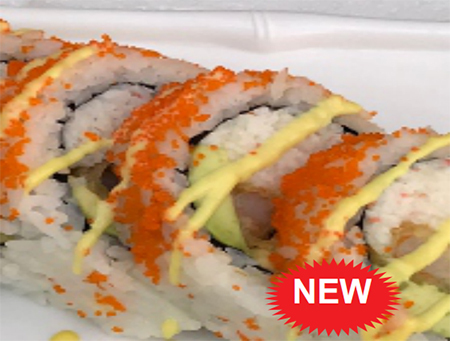 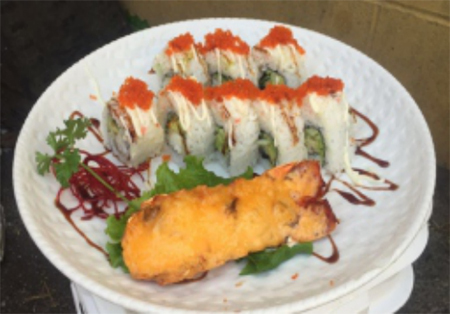 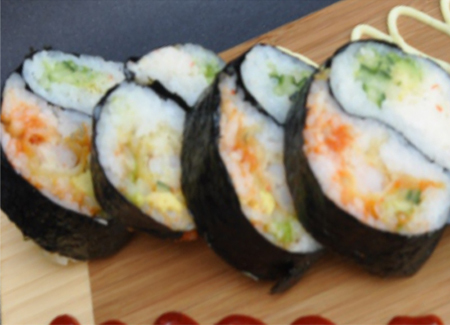 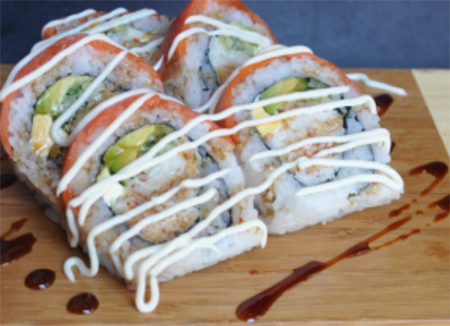 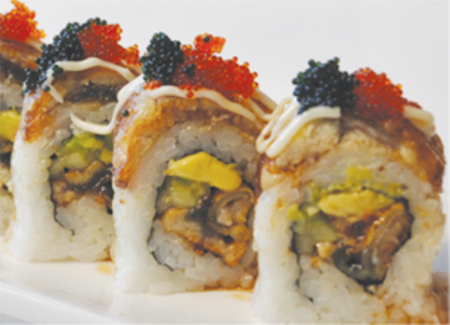 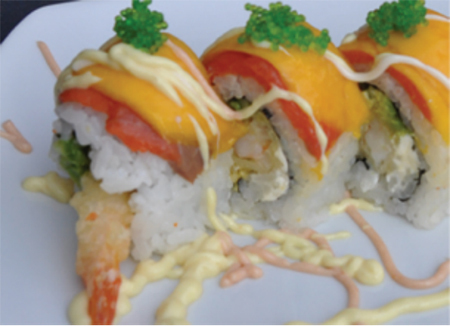 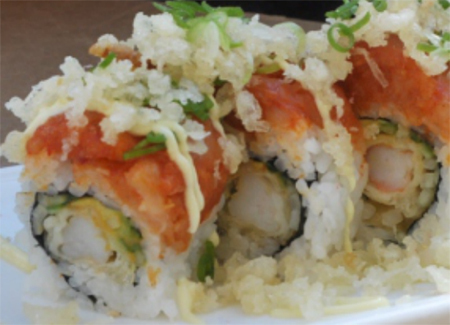 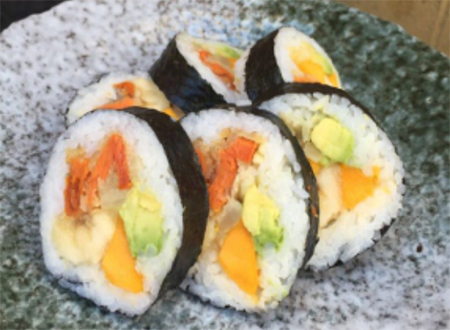 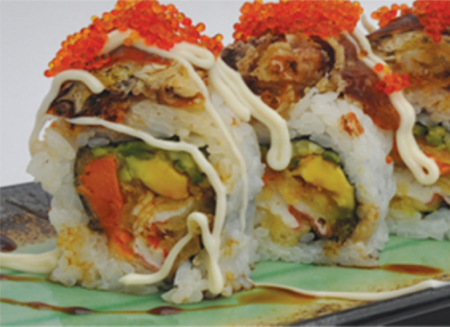 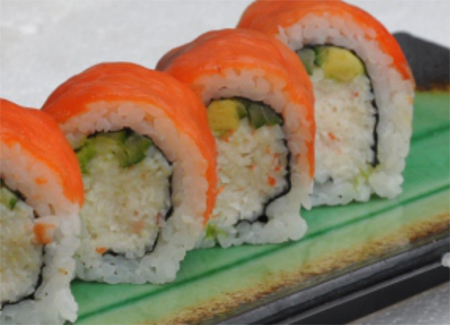 Prawn-tempura,cucumber,avocado,cream cheese, Topped w/smoked salmon,mango,wasabi, and tobiko. 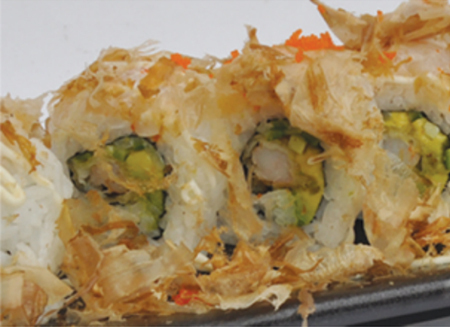 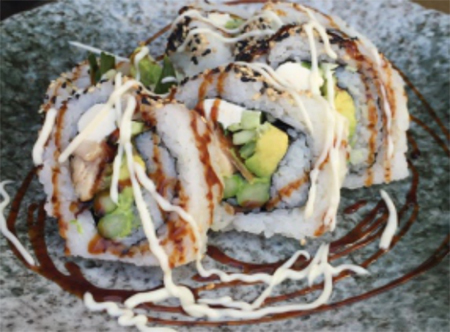 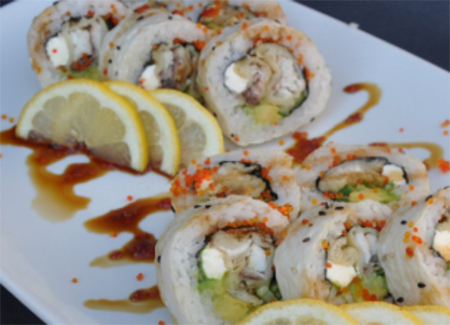 Cooked snapper, unagi tempura, cucumber, avocado,cream cheese,masago. 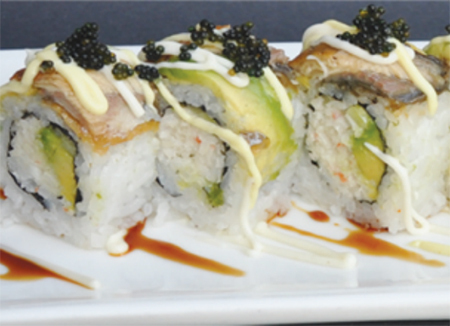 Prawn tempura, avocado,cucumber topped w/tobiko and unagi. 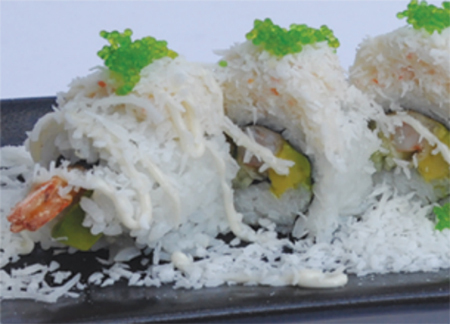 Prawn tempura, avocado, cucumber topped with chopped scallops and tobiko flakes. 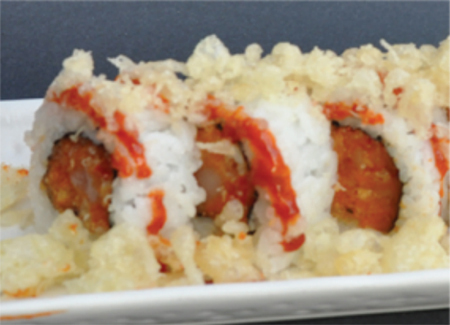 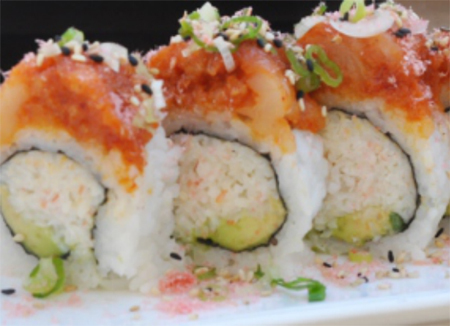 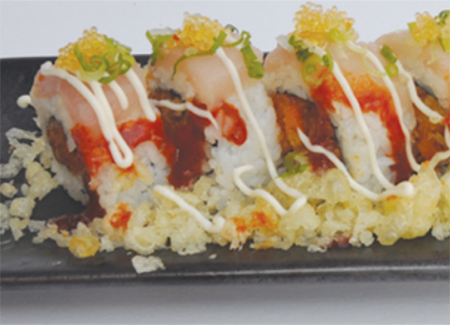 Spicy Tuna.Topped with chopped scallops,bonito flakes and massgo. 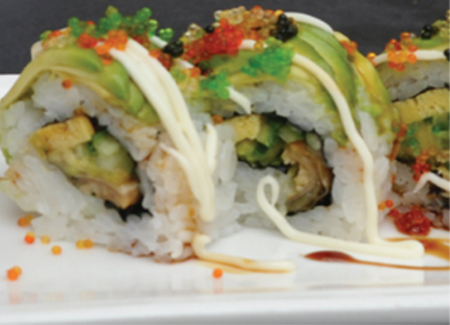 Crab meat,avocado,cucumber.Topped with eel,avocado and tobiko. 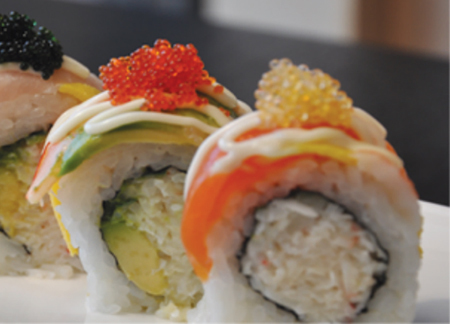 Crab meat,avocado,cucumber.Topped with assorted sashimi and tobiko. 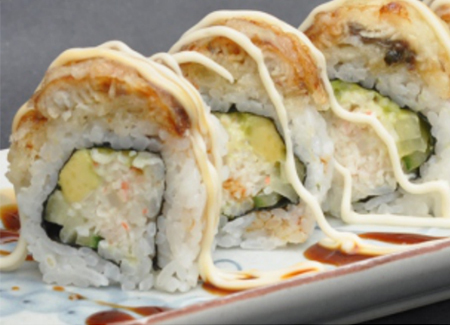 Unagi tempura,avocado,cucumber and crab meat and massago. 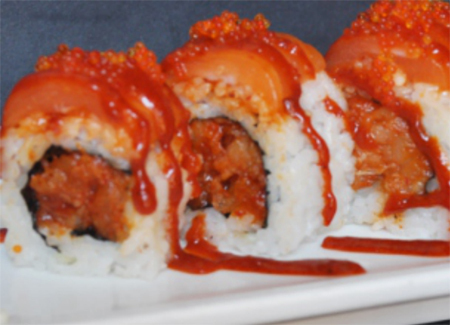 Spicy tuna. 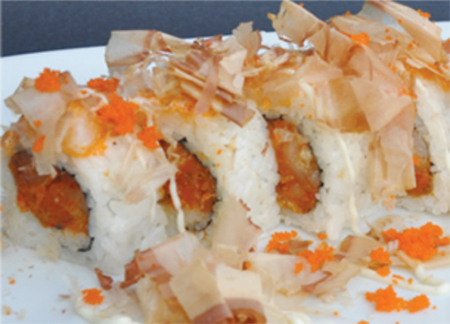 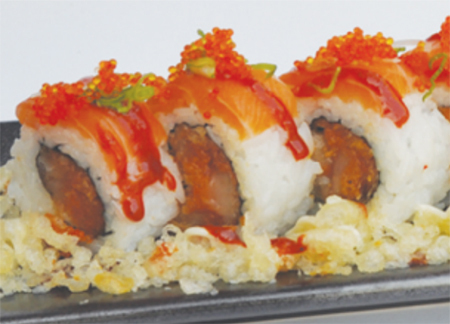 Topped with spicy salmon and tobiko. 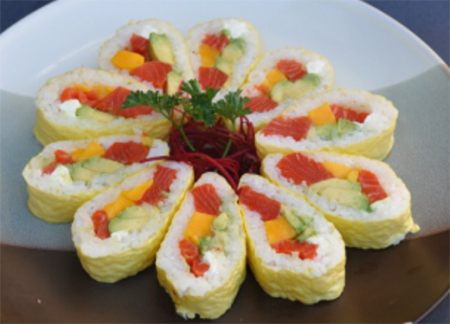 Cream cheese, asparagus, cucumber, avocado.Topped w/smoked salmon and mango. 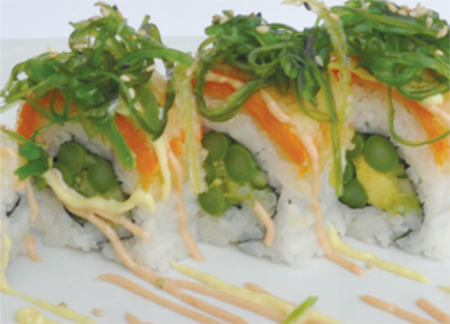 Asparagus, cucumber,avocado.Topped with yam and wakame. 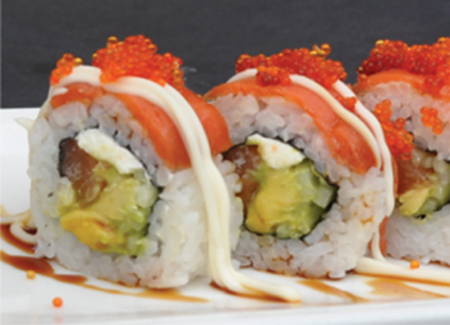 Salmon cucumber,avocado cream cheese.Topped with smoked salmon and tobiko. 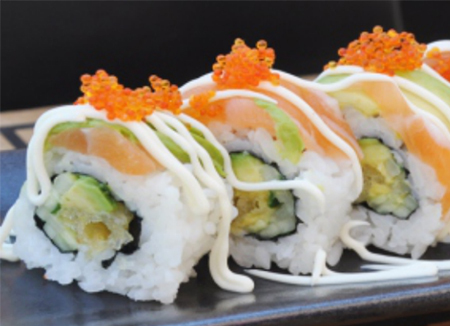 Prawn tempura,avocado, cucumber.Topped with salmon tobiko. 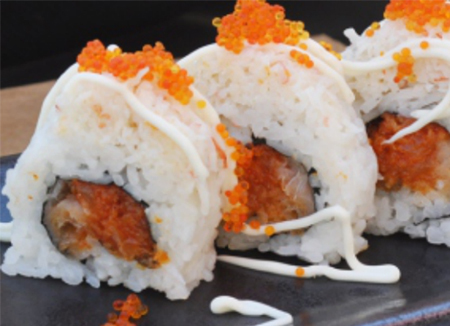 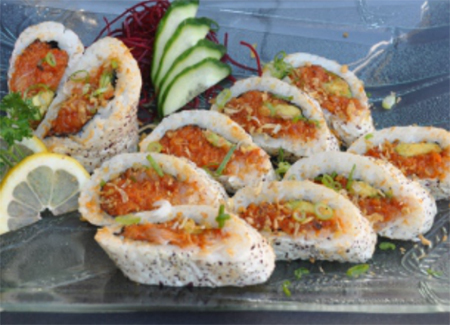 Spicy tuna.Topped with crab meat and tobiko. 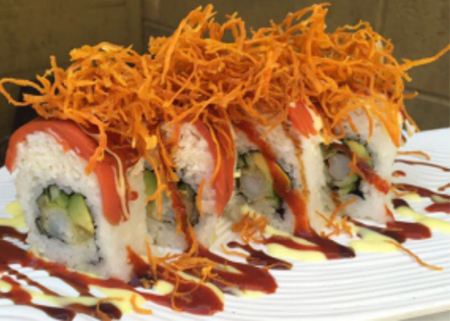 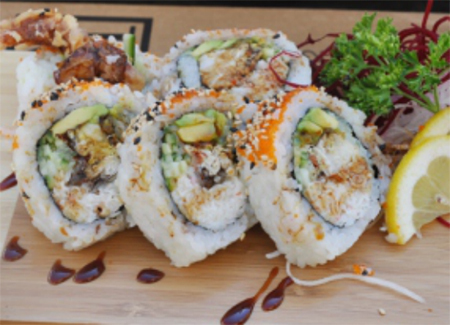 Tempura prawn,avocado,cucumber.Topped with spicy tuna,green onion and tempura crisps. 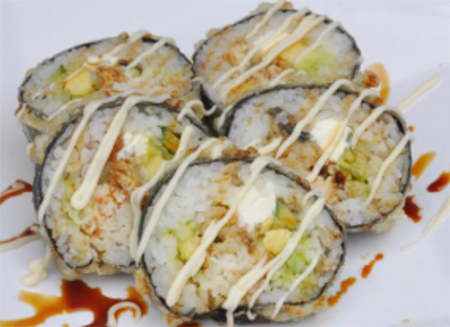 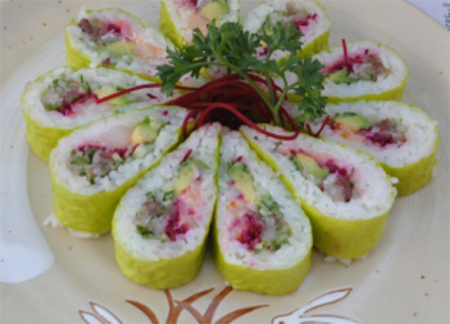 Crab meat,cucumber,avocado.Topped with spcy tuna,green onion and bonito flakes. 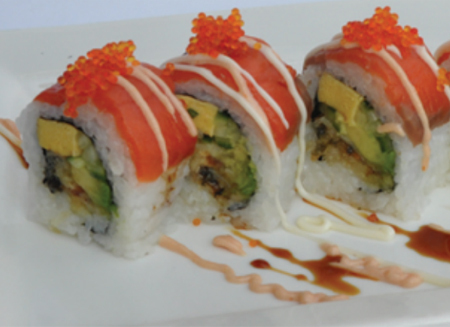 Deep-fried soft shelled crab,cucumber,avocado,crab meat,yam,and tobiko. 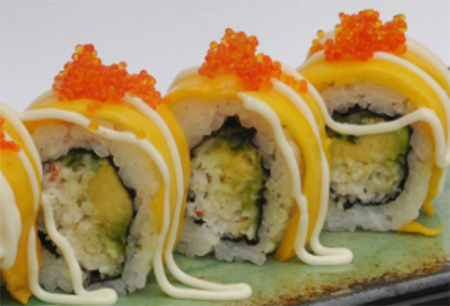 Crab meat,cucumber,avocado.Topped with mango and tobiko. 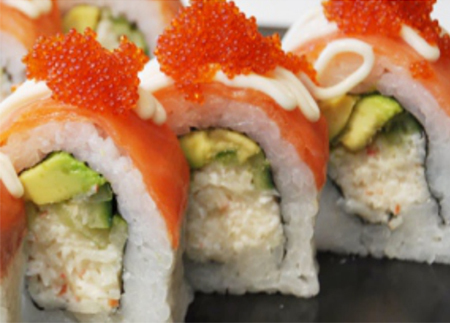 Smoked Salmon,crab meat,avocado,cucumber.Topped with tobiko. 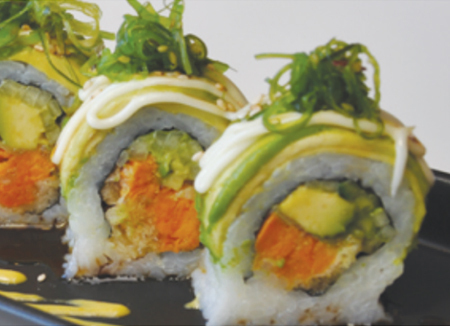 Yam,cucumber,avocado.Topped with avocado and wakame. 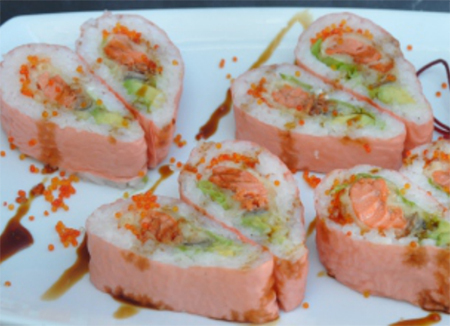 Crab meat,cucumber,avocado.Topped with grilled salmon,green onion and bonito flakes. 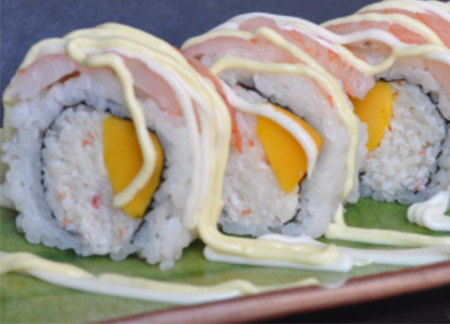 Crab meat and mango.Topped with ebi. 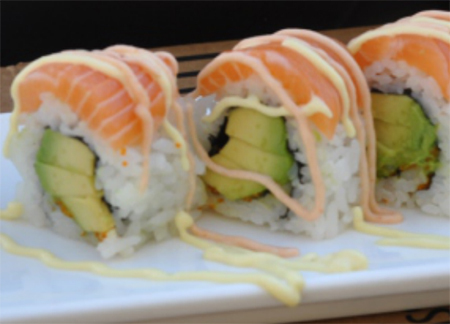 Cucumber,avocado,crab meat,cream cheese.Topped with smoked salmon. 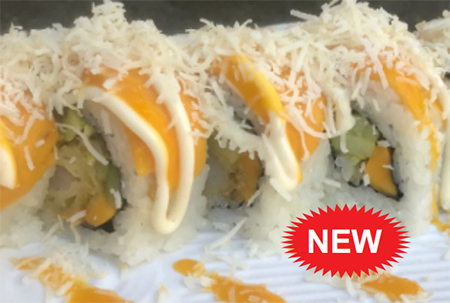 Deep fried bananas. 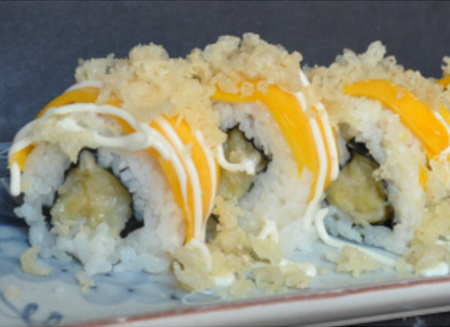 Topped with mango and tempura crisps.